Addendum to variance request that would exclude them from having to comply with facility requirements for abortion facility licensing. Requesting variance through April 30, 2015. Request for variance that would exclude them from having to comply with facility requirements for abortion facility licensing. Exemption from complying with minimum facility safety standards until April 30, 2015. 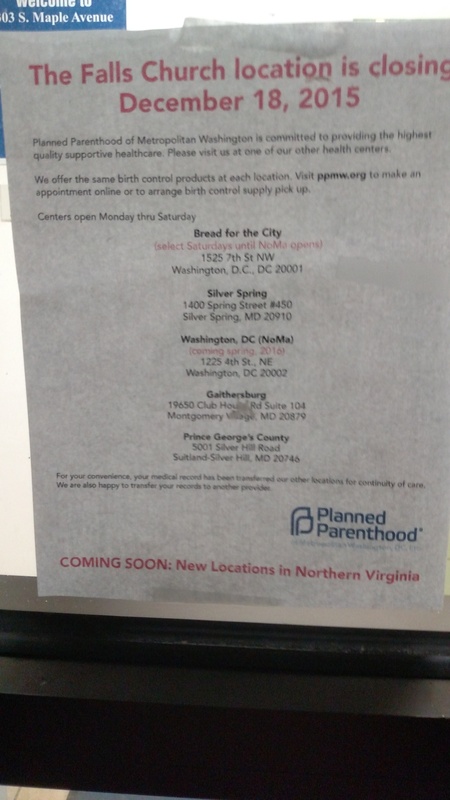 Falls Church Health Center Planned Parenthood announced its closure as of December 18, 2015, as the result of a lost lease.